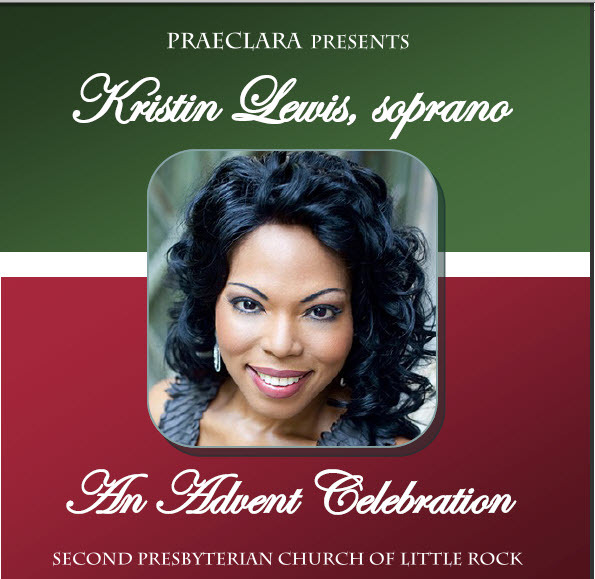 Sunday, December 7, 2014 — 4:00 p.m.
International opera sensation Kristin Lewis comes home to Little Rock for this exclusive engagement. Ms. Lewis and the Second Presbyterian Church Adult Choir will perform a special Advent celebration concert to support her new vocal foundation scholarship. Featured guest performers include mezzo-soprano and UCA voice professor Martha Antolik, along with violinist Rachel Herman, pianist Tom Cox, and Barry McVinney on saxophone. Praeclara’s artistic director, Bevan Keating, conducts the choir and orchestra. All proceeds from the concert benefit the Kristin Lewis Foundation Scholarship Fund. 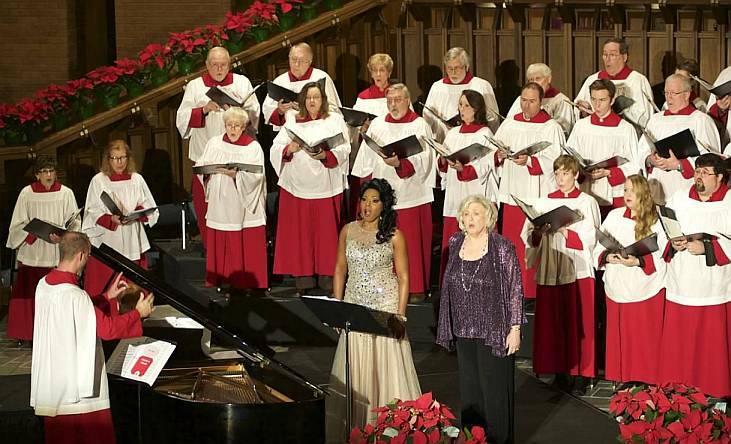 The Kristin Lewis Foundation Scholarship Fund supports emerging Arkansas vocalists in their professional development, providing funds for tuition costs, attendance at master classes, and national or international travel. Students between the ages of 18 and 23 are invited to apply. Applications are being accepted through early February 2015. For details about the scholarship application process, visit the Kristin Lewis Foundation website.